I have never been much a fan of the Princess and the Pea fairy tale . . . NEVER. Melanie Dickerson has changed all of that for me!
. . . because I LOVE LOVE LOVE this story! Of course, if you’ve ever read one of my reviews of Melanie’s books, you’ll know I am flat-out IN LOVE with each and every story she writes! Aside from her AMAZING writing talent, there is the fact that she writes fairy tale re-tellings! And since I LOVE fairy tales, what more could a girl ask for in a favorite novel! Also, Melanie writes her books with no magic needed! God has blessed her with such ability that she is able to craft a magnificent story using all of the most important elements of the original story – and yet present the reader with a conclusion that is solved through faith, hard work, skill or pure and simple determination. Each and every one of these stories is a masterful retelling of our most cherished tales of olde – and in my opinion, these are the books we should introduce to our daughters . . . not some silly tale about a witch of a fairy godmother who gives the hero/heroine whatever their hearts desire without an ounce of reason or work behind it. But that’s just my opinion. . .
A Beautiful Pretender is all of that and MORE! Melanie has taken the best elements of the “Princess and the Pea” tale and woven them together with the exceptional characters she introduced in The Huntress of Thornbeck Forest – and taken us on another lively adventure where heroes are just the way you always hoped they would be and there is always more than meets the eye where our lovely heroine is concerned. Forbidden love . . . Danger . . . Excitement . . . And an ending that no one could ever see coming . . . What more could you ask for in a medieval fairy tale re-telling! And hey – just look at the BEAUTIFUL cover! Can you think of a more fitting cover for this book? I think not. What happens when a margrave realizes he’s fallen in love with a servant? The Margrave of Thornbeck has to find a bride, fast. He invites ten noble-born ladies from around the country to be his guests at Thornbeck Castle for two weeks, a time to test these ladies and reveal their true character. Avelina is only responsible for two things: making sure her deception goes undetected and avoiding being selected as the margrave’s bride. Since the latter seems unlikely, she concentrates on not getting caught. No one must know she is merely a maidservant, sent by the Earl of Plimmwald to stand in for his daughter, Dorothea. Despite Avelina’s best attempts at diverting attention from herself, the margrave has taken notice. And try as she might, she can’t deny her own growing feelings. But something else is afoot in the castle. Something sinister that could have far worse—far deadlier—consequences. Will Avelina be able to stop the evil plot? And at what cost? I received the book free in exchange for an honest review. Rapunzel can throw a knife better than any man. She paints beautiful flowering vines on the walls of her plaster houses. She sings so sweetly she can coax even a beast to sleep. But there are two things she is afraid her mother might never allow her to do: learn to read and marry. Fiercely devoted to Rapunzel, her mother is suspicious of every man who so much as looks at her daughter and warns her that no man can be trusted. After a young village farmer asks for Rapunzel’s hand in marriage, Mother decides to move them once again—this time, to the large city of Hagenheim. The journey proves treacherous, and after being rescued by a knight—Sir Gerek—Rapunzel, in turn, rescues him farther down the road. As a result, Sir Gerek agrees to repay his debt to Rapunzel by teaching her to read. Could there be more to him than his arrogance and desire to marry for riches and position? As Rapunzel acclimates to life in a new city, she uncovers a mystery that will forever change her life. In this Rapunzel story unlike any other, a world of secrets and treachery are about to be revealed after seventeen years. How will Rapunzel finally take control of her own destiny? And who will prove faithful to a lowly peasant girl with no one to turn to? OK… now for my thoughts about this fantastic book. Am I the only one or did anyone else find themself humming the theme from“Tangled” while reading the blurb for this book? I know the blurb says “like no other” and that is true, but there are definitely bits of it that are reminiscent of Disney’s long-haired heroine. And – for me – those little tidbits just added to an already fantastic story! Now we just have to wait until May for her next awesome fairy tale retelling. And I’ll tell you a little secret. 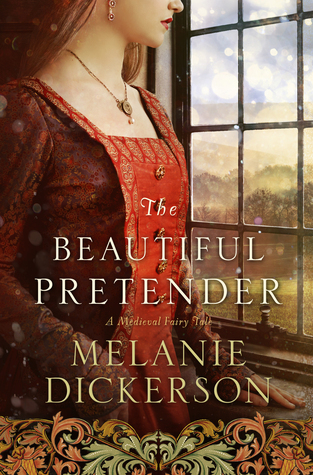 In February, Melanie is releasing a Regency Intrigue Romance! Exciting!